Early in life Beth Cornelison swore three things: 1- She’d NEVER go to the University of Georgia, 2- she’d never work in fast food and 3- she'd never date a guy with facial hair. Since swearing these things, she’s learned never to say never! Her first job after high school was at Captain D’s (with her best friend--she had a blast). UGA has a really good Journalism school...so she transferred after two years at Agnes Scott and earned her degree in Public Relations from UGA. The summer after her freshman year of college, she met the coolest, funniest, sweetest guy at her church and later married him. Yep, he had--and still has--a mustache. Go figure. After working in public relations for about a year, she moved with her husband to Louisiana, where she decided to pursue her love of writing fiction. Since that time, she has won numerous honors for her work including a final in the 2010 Rita contest sponsored by the Romance Writers of America. She made her first sale to Silhouette Intimate Moments in June 2004 and has gone on to sell many more books to Harlequin/Silhouette. 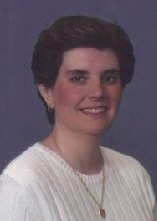 She has also published with Five Star Expressions, Samhain Publishing, and Sourcebooks. Snoopy is her muse, and she loves cats, chocolate, and being lazy. Her only son recently started college, so she has an empty nest (room for more cats?) Beth has presented workshops across the country to numerous chapter meetings, conferences, online classes and book clubs. She lives in north Louisiana with her husband and a fluctuating number of kitties who think they are people. Visit the Lagniappe page for some of Beth's favorite recipes, tips on writing, favorite website links and latest contest. For some of Beth's favorite pictures of friends, family and her kitties, check the photo gallery.